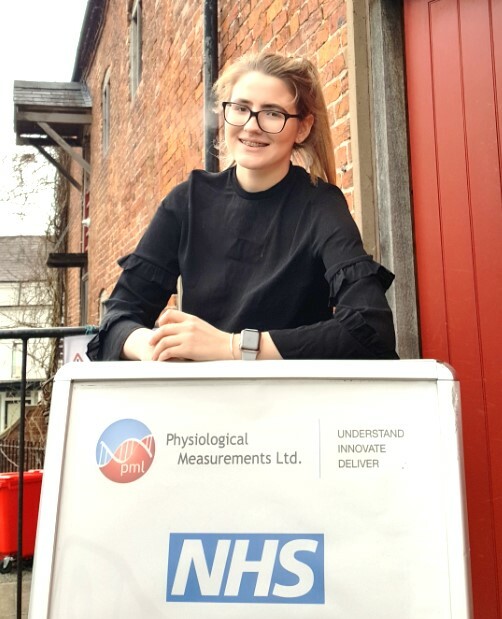 Physiological Measurements (PML), based in Oswestry, have always embraced apprenticeships and are keen to highlight the mutual benefits for both the company and the apprentice. As it is National Apprenticeship Week, they wanted to shout about their fantastic apprentices and empower other people to take the apprenticeship route. “I became an apprentice in June 2018 as a Patient Management Centre Administrator. I wanted to do an apprenticeship as I am gaining a qualification whilst learning on the job and also gaining experience. My apprenticeship is expected to be 13 months long and it is carried out through the training provider SBC Training. It has given me the opportunity to gain experience in a work environment. There are currently 3 apprentices working through their qualifications at the Patient Management Centre in Oswestry. In addition, there are several members of staff who have completed their Apprenticeship journey with PML and now work for the company in full time employment. “I wanted to become an apprentice to learn basic administration skills and earn my NVQ. I became a fully qualified member of the team in May 2018, just 12 months after I started. I am very proud of my achievement and it has given me the qualifications and the knowledge to exceed in my job role and the varied tasks that it entails. PML are currently looking for an IT Apprentice to join their growing team. If you feel inspired to become and apprentice, please contact them to discuss it further on 01691 676496.